Last night, Pete and I went out to dinner. We got to eat, phone and distraction free. Of course, it wasn't work free. He talked about his job and I mentioned a post that I was doing for Target Weddings. The idea of the post (as it has been in the past) is to create a wedding registry that reflects the couple -- but also one that can be used. I mean, adding China settings to your registry is great (we did it) but the times you're going to be using that China is slim (ours has been in uncracked boxes for a year). What we do use daily is the glasses that we put on our registry, so if you're planning on creating a Target registry, be sure to add a variety of drinkware. Different sizes are good for different drinks. I mean, you're not going to make an 18 ounce Old Fashioned (unless you had a terrible day at work and you're sharing with someone). But the tall glasses, they can be used to make Red Velvet Soda. Yes, Red Velvet Soda. Pete actually came up with the concept yesterday at dinner. We spent the time between our appetizer and dinner coming up with a recipe for it. And today, we made it. It was shockingly delicious. I love red velvet anything. It's my birthday cake of choice. It's basically a vanilla cake with a dash of cocoa powder. Delicious. But I've never seen it in drink form before, so we had to really brainstorm a way to make it work. Make soda in the Soda Stream. Add about 3/4 of the lemon-lime syrup that you would usually add. Pour it into a glass. Add one (and only one) drop of red food coloring. Now, I'm going to really give you a big warning here: Stir gently. 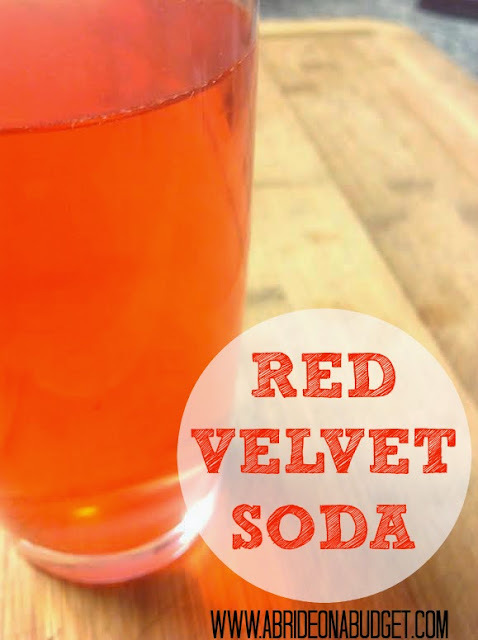 By now, your Red Velvet Soda is really starting to bubble. And a stir makes this drink think it's a volcano. It will bubble over and explode, just like shaken soda. So definitely be super calm with it. I made this by the glass, but you could make a whole pitcher of it ... that is, if you have a pitcher. If you don't, you can always add one onto your Target registry. We didn't add one because we already had three and didn't need to add one more to the mix. But if you need one, Target has a wide array to choose from. What's actually cool about Target is it pretty much has everything. 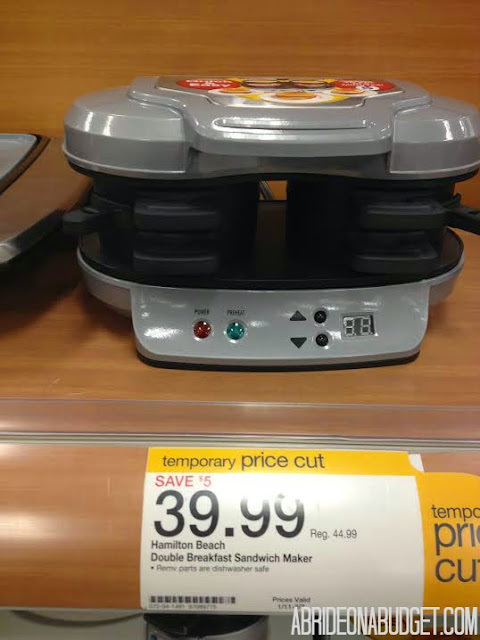 Like stand mixeres, cookware sets, speakers, cameras, and this Hamilton Beach Double Breakfast Sandwich Maker. I actually only heard about these last week and I have no idea how my life has existed without it. We make breakfast sandwiches at home often, but this actually makes sandwiches for you. Plus, after you get married, there are two of you to start to cook for. So a double breakfast sandwich maker is definitely what you need. You'll only need one vacuum, though. At least, that's what I think. And since they are quite expensive, don't expect more than one to fly off your registry. 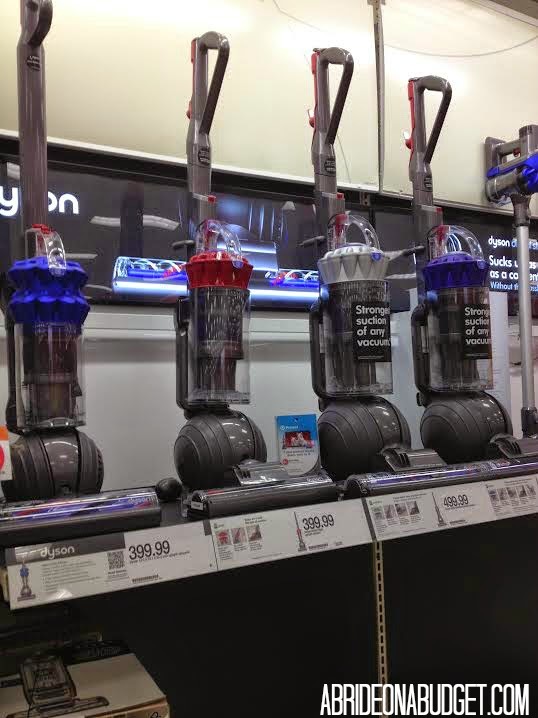 Even if you don't think anyone will buy you a $400 vacuum, it's worth it to add it to your wedding registry. See, the week of your wedding, Target will send you a 15% completion coupon. That way, you can save 15% off anything that wasn't purchased. That's an easy way to save a chunk of change off high ticket items, like a vacuum. You can even get Target registry rewards when starting your registry too. 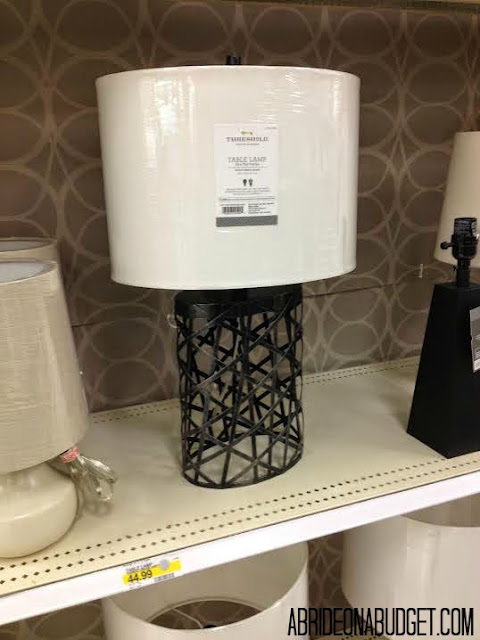 What I would add, if I was registering, is this Threshold table lamp. It looks very similar to a lamp that was in a hotel scene from House of Cards that I fell in love with. In the middle of the episode, I had to stop and tell Pete that I absolutely wanted that lamp. And then I wondered if I could find something similar on Pinterest to help me make one. If you are registering, you can just add this lamp. You don't have to worry about DIY'ing one. Just scan it. If you are planning on creating a Target Wedding Registry, be sure to add items that are useful but also include ones that are fun too. You want to choose stuff that reflects your personality but is also stuff that you will use. And these Red Velvet Soda ingredients are something you'll use (if you are me, at least). BRIDAL BABBLE: Do you think you would try to make this Red Velvet Soda recipe? No, I like plain soda water without flavoring. 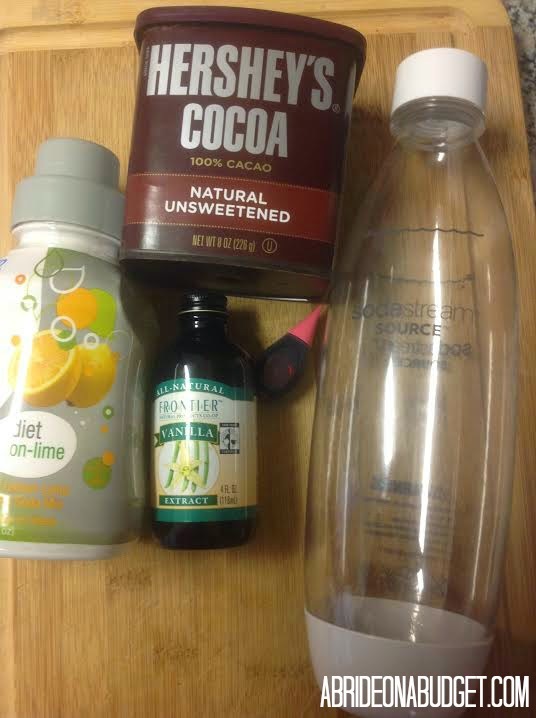 That's how I use my SodaStream. Do you just make carbonated water in it then? That's awesome (and saves you money since you're not buying syrups). Target does discontinue stuff from time to time. A lot of brides I know have had issues with the registry itself (disappears, crazy stuff!) or stock changes a lot so it's frustrating keeping up on it. Also someone I know tried to register before at Target and they wouldn't let her because there was another couple with their first names and last name and the same wedding date. Ooooh, that's really good to keep in mind Sandy. I never thought of that, but you're right. 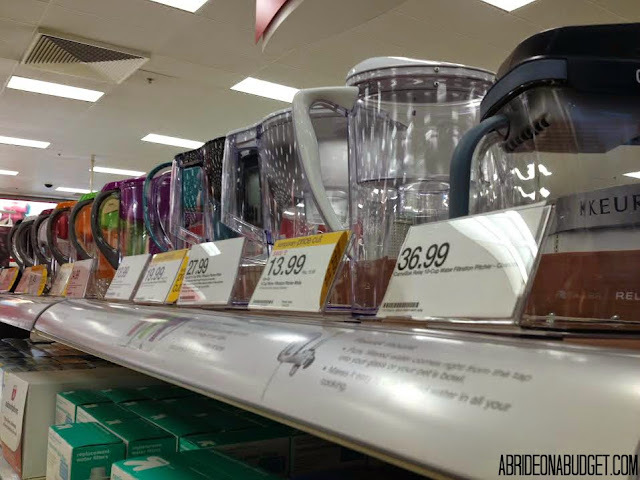 Items at Target can potentially have a shorter shelf life than other stores. That's really ridiculous about them not being about to register, but I guess I see how it could be confusing. I have an original Soda Club machine from when my company packed and fulfilled orders for them about 10 years ago when they just came to the US. (we probably should have kept them as a customer, lol!) I don't know if it still works or not! I love chocolate, but don't particularly like chocolate alcoholic drinks or chocolate flavored coffee. Just chocolate milk and hot cocoa.